Comprehensive audio tutorial on the iWalk talking power bank. Walks you through all features and functions of the bank. friendly instruction from a blindness perspective. Not comfortable downloading online? 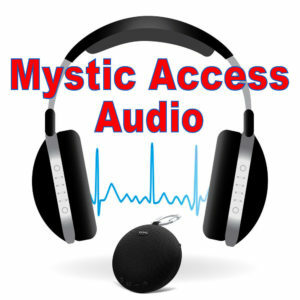 We can optionally include an SD card, already loaded with your product and hours of additional content, including free full-length tutorials and other Mystic Access product samples. Your digital products will be pre-loaded on the card, so all you’ll need to do is put it in your computer or player of choice and enjoy all of the content! The cost for the SD card is $15. This comprehensive tutorial walks you through the features and functions of the iWalk talking power bank, and provides tips to get you started with its use. In this sixteen minute tutorial, Lisa Salinger orients you to the bank, describes how to successfully charge devices and the bank itself, and shares helpful suggestions to support you in getting the most out of this powerful little product. 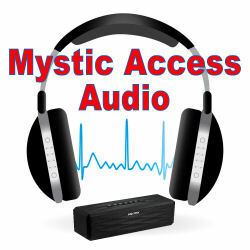 As with all of Mystic Access’s audio tutorials, this tutorial provides thorough and friendly instruction from a blindness perspective. 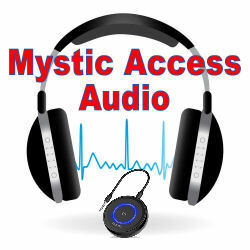 Please click on the player below to listen to a sample of the iWalk Power Bank audio tutorial. The digital download of the iWalk talking power bank audio tutorial is $15. You may also receive the tutorial on an SD card for an additional $15. I can’t download the audio tutorial(s) that I purchased from you, because the download doesn’t seem to be available anymore. What’s wrong? You can download your tutorials up to 3 (three) times. These copies are for your personal use only. This way if you lose your copy or the thumb drive you put it on dies, etc, you have two more opportunities to access your downloads. If you need your downloads again after they have expired (after three successful downloads of any tutorial you purchased) then please contact us. We will reset your downloads at our discretion.